Nine years ago I got tired of my children’s and husband’s never ending illnesses. was on antibiotics every few months for sinus infections and ear infections. had eczema that needed steroid creams and antibiotics to keep it under control. was born with green snot and was plagued by disgusting nasal issues for years. needed antibiotics several times a year to contain the booger fountain. had been a complete menace in school despite great academic success. I was tortured by teacher emails, texts, and phone calls regarding his inability to sit still, keep hands to himself, or get it together. was plagued by allergies requiring 5 medications without relief – Zyrtec, Singular, Flonase (nose spray), Patanase (nose spray), Pataday (eye drops). the spring would bring him to his knees with itching, snot, and burning eyes. days of whole body hives would signal the Oak blooming. he had Man Colds all the time. the biggest doubter about this whole thing. My biggest challenge. Aside from all that, they had sore throats all the time, colds that went on forever, night time coughs that drove me insane, random vomiting viruses that would appear out of nowhere. I was done!!!! I cleaned out the pantry of colored food and garbage foods such as – Mac&Cheese in a box, Pre-made PB crackers, Cheetos, Doritos, Lucky Charms, Lunchables, Smuckers PBJ frozen sandwiches, as a start. The journey to eating whole foods began. I looked into Juice Plus. I had read about these fruit and vegetable extracts but wasn’t sold on this idea. It seemed more like a pyramid scheme then an actual health product. So why did I give it a try? These fruits and veggie extracts come from produce raised without pesticides, herbicides, vine ripened, are cool pasteurised within 6hrs of harvest. No color or chemicals added. 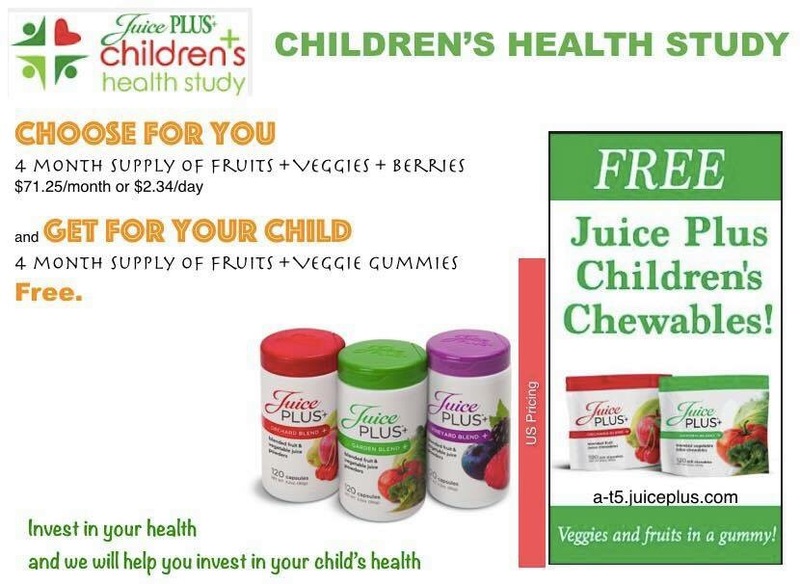 Just Fruits and Veggies in a capsule or gummy. on Inflammation, Immune system, cold symptoms, Lung Health, Skin Health, and more. Articles are double blind placebo controlled perspective reviews – this means that the product was compared against a sugar pill, scientist did not know who took what, and they measured the effects as the subjects took the pill/placebo. The company sponsors its own studies, as do pharmaceutical companies. no antibiotics in 6 years. Albuterol is used one or twice a year. ear infections have resolved without antibiotics. a clear nose of years. no antibiotics in 7 years. no allergy meds in 3 years. he has navigated Middle School with ownership, a lot more organization, and has become a lovely teenager who works hard on ownership and responsibility. There is still a lot of room for improvement, but he has come such a long way with ADHD counceling, but without medication. With each year on JP we dropped one of his allergy meds. Currently, he takes an Allegra pill once a week during allergy season when his symptoms flare up. He is now the biggest proponent. The recommended Daily intake of Fruits and Veggies is 5-9 servings a day, every day! What is a servings of Fruits and Veggies? Please note that the juice mentioned here counts only if it’s home made or Raw and Cool Pasteurised. 100% store bought juice is Sugar and it has no place on the chart pictured here. Thanks Dr. Temple! I appreciate your quick response. Do you know if this is gluten free? 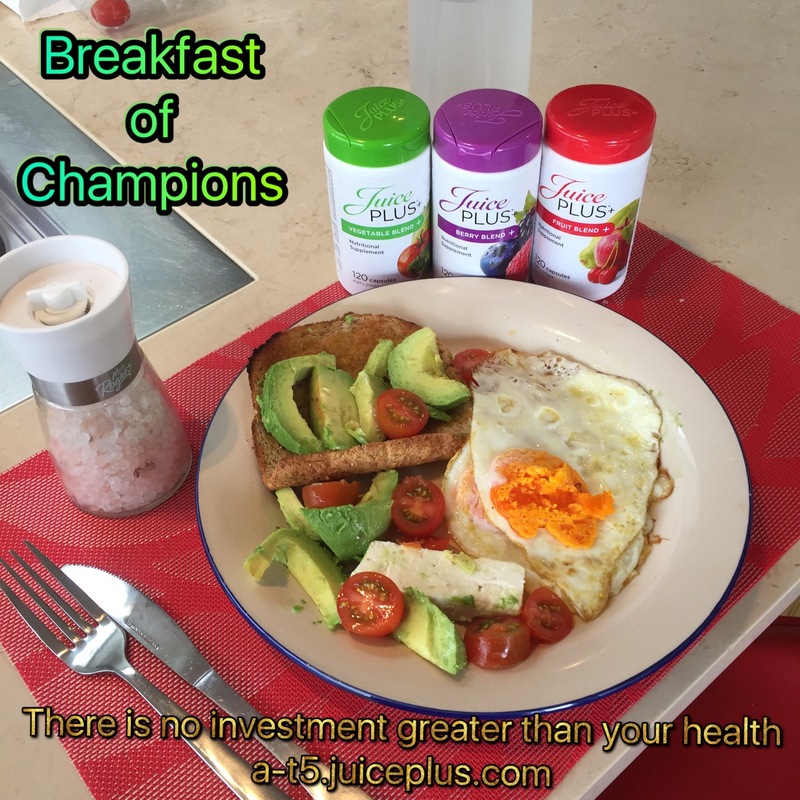 I’ve been on Juice Plus for 2 months and already I am sleeping better, more alert when I wake up in the morning (i.e., I can function without coffee), don’t feel the need for a soda in the afternoon (I’ve almost completely eliminated it! ), and don’t get an afternoon “crash” where I think I’m going to fall asleep at my desk. I’ve become a believer and am looking forward to seeing more health benefits for me and my daughter. Wow. That is awesome. Such great feedback. Thanks Tess. Way to go with all the changes.